Here is another tried and true recipe from culinary school! It's fairly quick and easy to make! 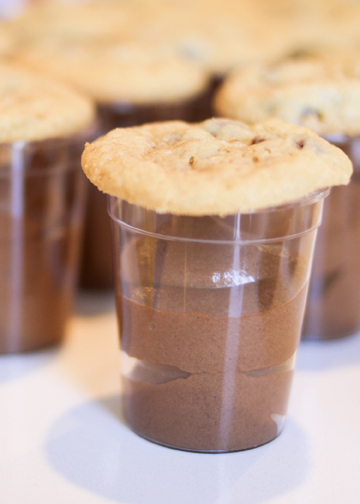 And just may be the only chocolate mousse recipe you will ever need! 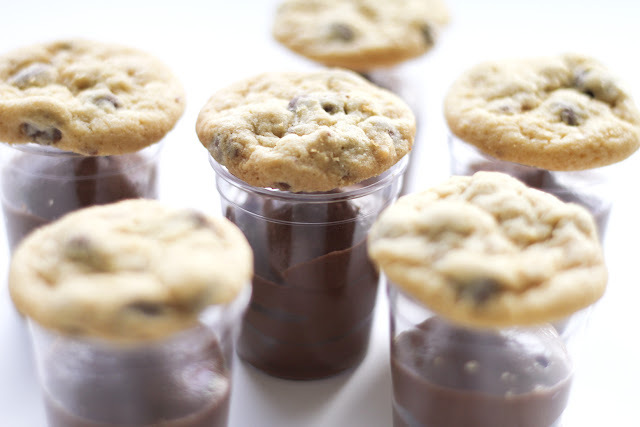 I served it in little tumblers from Zurchers and made tiny Chocolate Chip Pudding cookies to top it off! Enjoy! Melt chocolate in a large stainless steel bowl over simmering water. Remove from heat and add butter. Stir until butter is melted and completely mixed in. Add the egg yolks one at a time. Mix in each egg yolk completely before adding the next. Beat the egg whites until they form soft peaks. Add the sugar and beat until still peaks. Fold the egg white mixture into the chocolate mixture. Whip the heavy cream until soft peaks form. Fold it into the chocolate mousse mixture. Spoon chocolate mousse into serving dishes, cover and chill until ready to serve. It really is an easy recipe and so, so silky and smooth!